Members of Bowdoin Women in Computer Science pose at the Grace Hopper Conference in Houston last week. 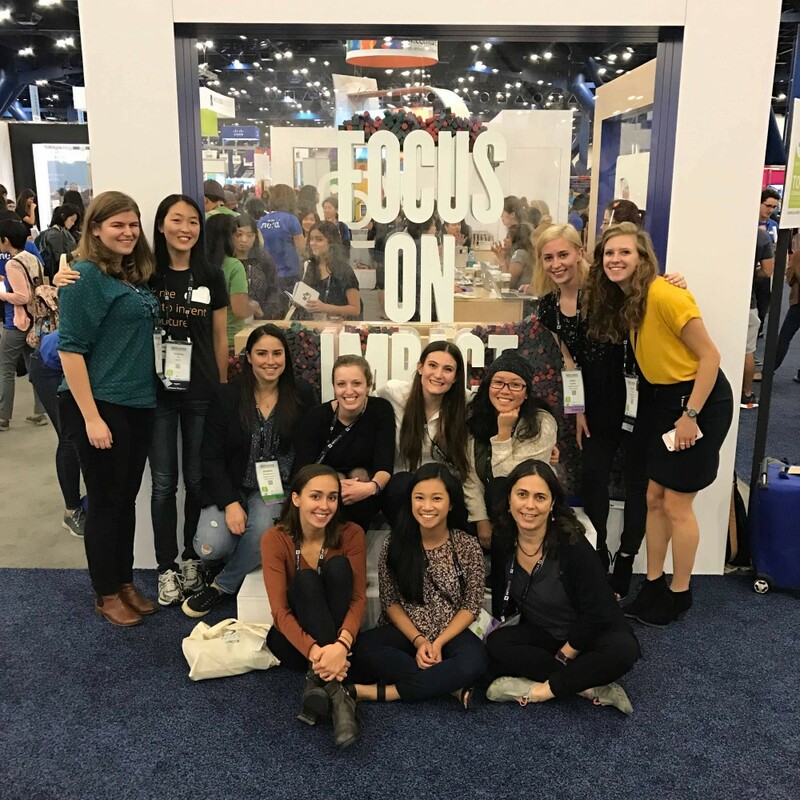 Last week, 14 members of Bowdoin Women in Computer Science (BWICS) attended the Grace Hopper Celebration of Women in Computing in Houston, Texas—an annual conference exclusively for female computer scientists. The trip, largely sponsored by alumni donations, is a key element of BWICS strategy to show Bowdoin women that they, too, belong in computer science. The conference also doubled as a career fair. Students submitted their resumes beforehand and interviewed with companies on site. Three Bowdoin attendees were offered full-time jobs at the fair, while two others received summer internship offers. The conference featured notable female computer scientists from major companies such as Google, Twitter, Amazon and IBM. Students expressed their awe after being in the presence of so many accomplished women. Of 76 current juniors and seniors who have already declared to be Computer Science majors at Bowdoin, just 26 students—34 percent—are women. Bustamante co-founded BWICS during her sophomore year to support her female peers in computer science. Associate Professor of Computer Science Laura Toma recalled coming to Bowdoin to interview in 2003. When she delivered a computer science lecture, all the attendees were male. Toma first attended the Grace Hopper conference with two Bowdoin students in 2009. She believes the conference helps encourage women to stay in computer science. “A lot of peer institutions have been sending their students there for many years. And there’s research that shows [attending] helps enormously with retention,” Toma said. Due to shortages of interest and funding, no Bowdoin women attended the conference again until last year, when 10 students went. This year, Toma accompanied 14 students. She hopes that Bowdoin students can continue to attend in the future. “We are not sure what is going to happen next year. We hope we can keep it going because everyone said it was an amazing experience,” Toma said. However, the Student Activities Funding Committee only provides enough funding for club leaders to attend conferences like Grace Hopper, according to Director of Student Activities Nate Hintze. This year, BWICS group members attended with the help of alumni donations and scholarships that they had received from the conference itself. Bustamante expressed her hope that Career Planning or the computer science department could help future funding, so the group doesn’t have to rely on alumni. Toma echoed this sentiment.